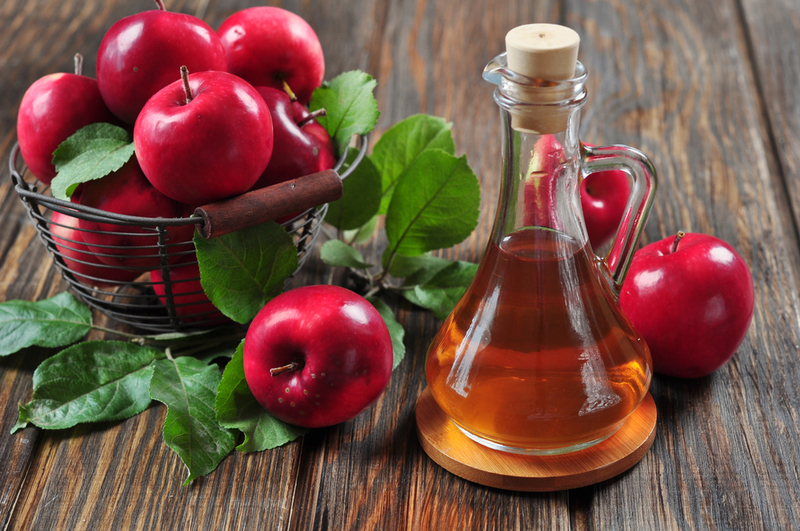 What’s the Truth About Apple Cider Vinegar When It Comes to Weight Loss? For decades, apple cider vinegar (which is referred to as ACV by its loyal fans) has been labeled as a superfood due its numerous health-boosting benefits. The fermented beverage that’s packed with enzymes, probiotics, and trace minerals has been shown to lower blood pressure and serve as an antibacterial when treating wounds, and has been hailed as a “cure” for hiccups, acne, heartburn, a sore throat, and bad breath, among countless other ailments. But is this ancient tart liquid also capable of beating the battle of the bulge? Let’s examine the science: Back in 2009, research published in the Journal of Agricultural and Food Chemistry found that ACV may help prevent accumulation of body fat and weight gain. In this study, which only involved laboratory mice, investigators from Japan discovered that the rodents who ate a high-fat diet followed by consuming an acetic acid (the main component of vinegar) lost up to 10 percent body fat compared to the other mice. The same year, experts from Arizona State University conducted research with both “healthy” adults and those with type 2 diabetes. “The study showed people who drank two teaspoons [of ACV] before or during a meal had lower blood glucose levels after the meal, but only when the meal consisted of complex carbohydrates—the starchy kind of carbs found in vegetables, whole grains, potatoes, and beans, as opposed to simple carbs, which are basically just sugar, like refined table sugar and corn syrup,” says Keri Glassman, MS, RD, founder of Nutritious Life. Along the same lines, she adds that further research from 2013 indicated that consuming one tablespoon of apple cider vinegar before meals lowered blood glucose levels in adults at risk for type 2 diabetes. “Being pre-diabetic means that your blood sugar is higher than what is considered normal, so controlling blood sugar could be beneficial,” continues Glassman. So is there any solid proof that sipping ACV is directly linked to melting the pounds away? Not exactly. But can it be an effective ingredient in your eating plan, in terms of weight loss and weight management, as well as overall health? Certainly. If you eat a lot of whole foods with a high starch content, like potatoes or rice, you can try making apple cider vinegar a daily precursor to your meals. In this case, Johnston recommends one to two tablespoons mixed with eight ounces of water before every meal. Since acetic acid is a poison, anymore than that could be problematic, she warns, since it can damage your esophagus and erode your tooth enamel. To fully reap its benefits, you should look for an apple cider vinegar that appears somewhat dark and cloudy, Vinegar with this appearance contains a number of good-for-you enzymes, fibers, minerals, and antioxidants, he says. For some people, the taste alone can also be hard to swallow. So if you have more than five or so pounds to lose, you’re likely better off making more significant changes to your diet and exercise routine. Most diets should lead to weight loss within a couple of months, obesity specialist Spencer Nadolsky, D.O, told Men’s Health recently. If your diet is actually working, you should be able to lose 2 percent of your weight in the first month or 3 percent by the second month. I would say incorporate vinegars, like apple cider and red wine vinegar, into your diet by tossing them with veggies. “The fiber and water volume of the veggies will help keep you full and hydrated, which naturally aids in digestion and weight maintenance.